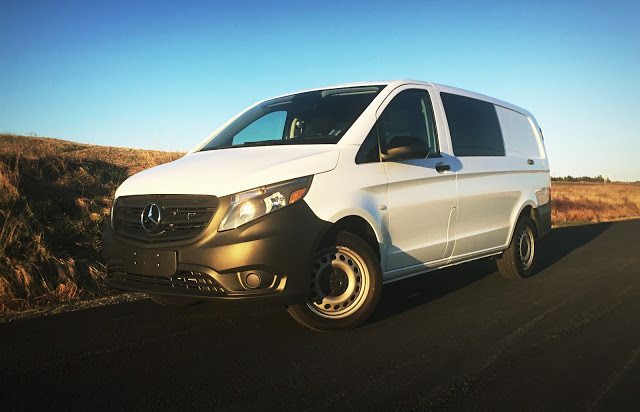 Much as it deserves to do better on merit alone, our week with the Mercedes-Benz Metris made it pretty clear that a midsize van, no matter how appropriately sized, will not be the obvious answer for buyers who don’t want to spend full-size money for the privilege. It is early days, of course, and we will surely see Mercedes-Benz USA selling more than 500 Metrises per month eventually. But with prices similar to the Ford Transit, now America’s top-selling commercial van in 18 consecutive months, we’re not likely to see the Metris creating significant volume. Mercedes-Benz owned 5.6% of the commercial van market in April 2016. 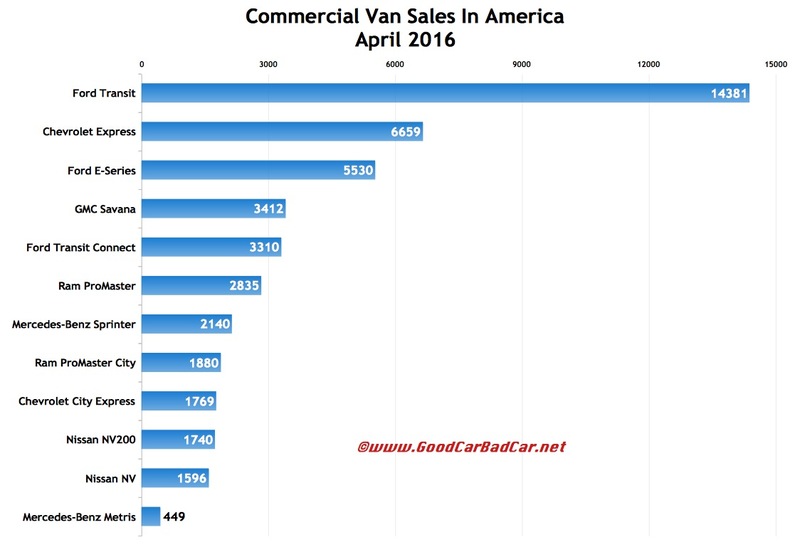 With the Transit, E-Series, and declining Transit Connect, Ford’s U.S. commercial van market share stood at 50.8% in April 2016, down from 52.7% a year ago. Huge gains at Chevrolet and Ram played a significant role in driving the category forward in April. The Chevrolet City Express and Ram’s two ProMasters added more than 3100 sales to the sector last month. You can click any model name in the tables below to find historical monthly and yearly U.S. auto sales data. You can also select a make and model at GCBC’s Sales Stats page. 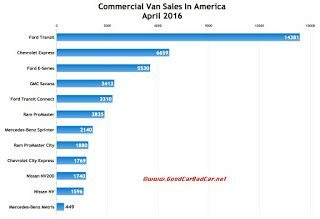 This table is sortable, so you can rank commercial vans any which way you like. Suggestions on how GCBC should break down segments can be passed on through the Contact page.